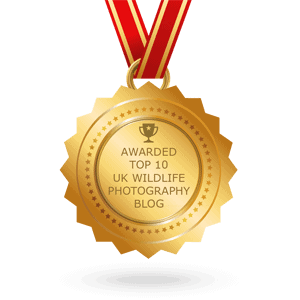 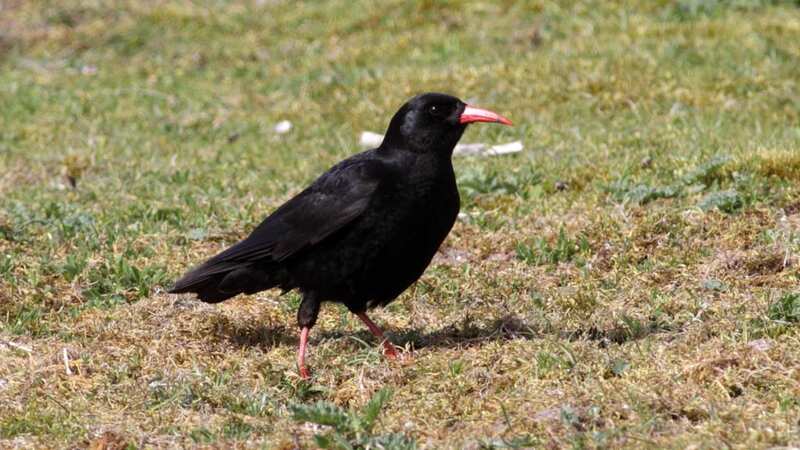 Chough is the genus Pyrrhocorax of birds in the Corvidae (crow) family. 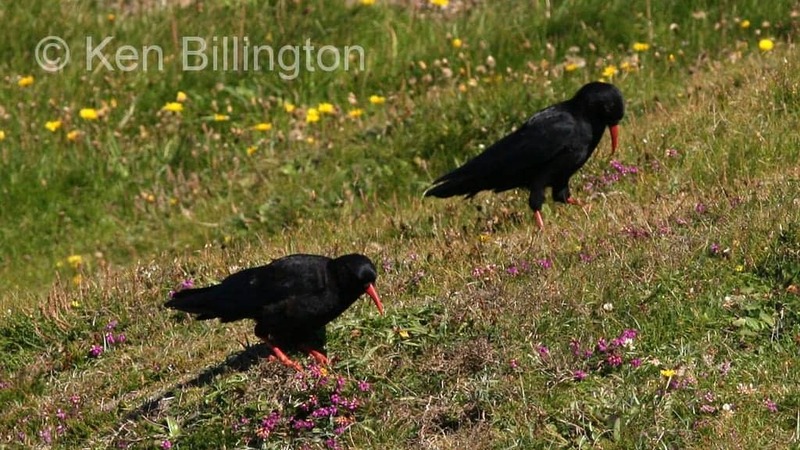 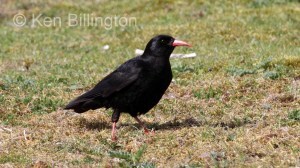 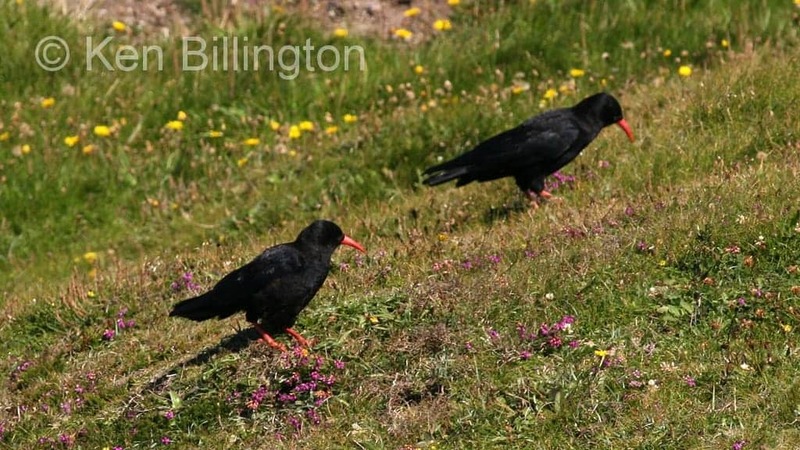 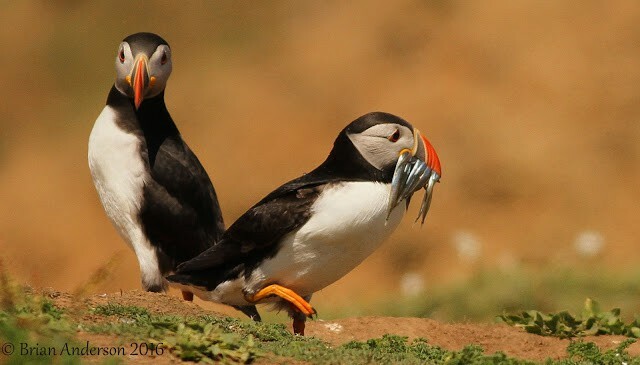 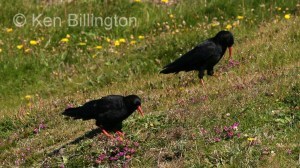 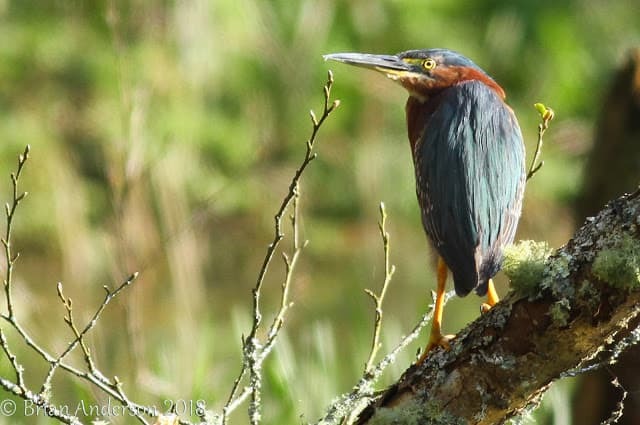 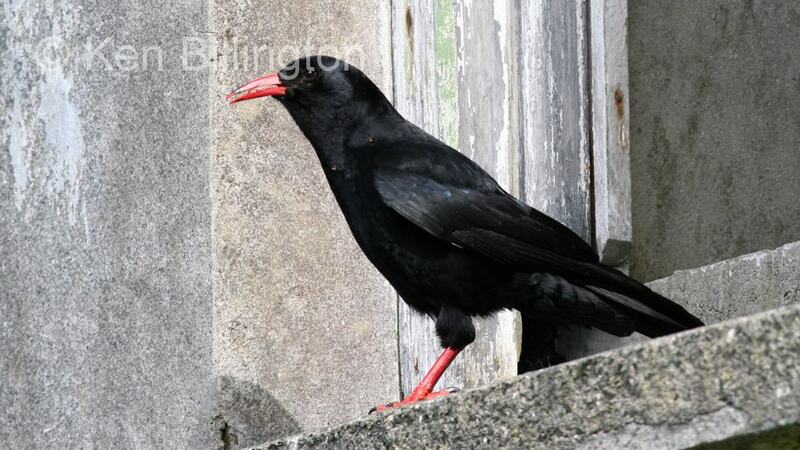 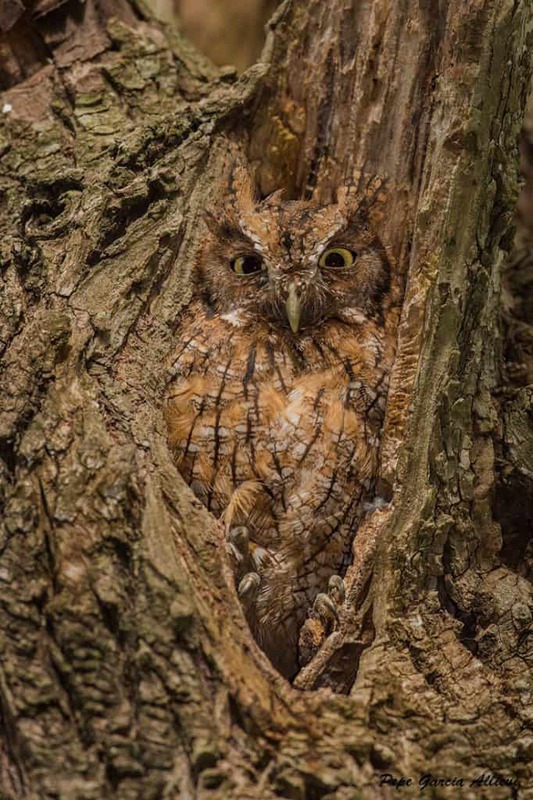 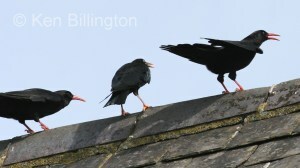 They are predominantly black in colour with brightly coloured legs, feet, and bills. 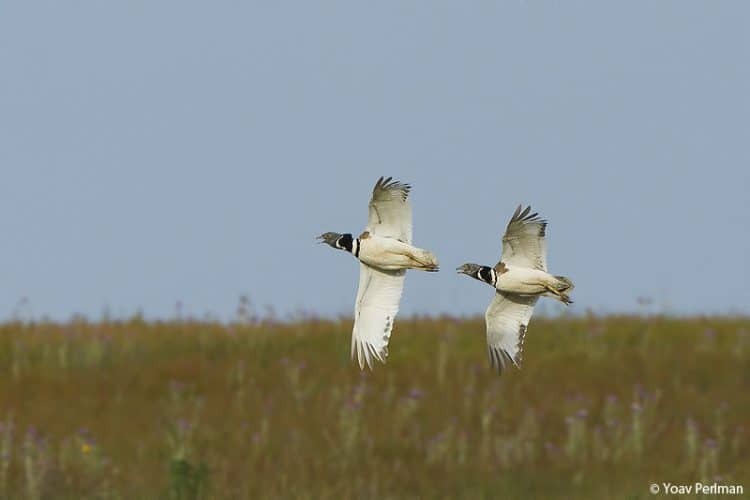 They have long broad wings and perform spectacular aerobatics. 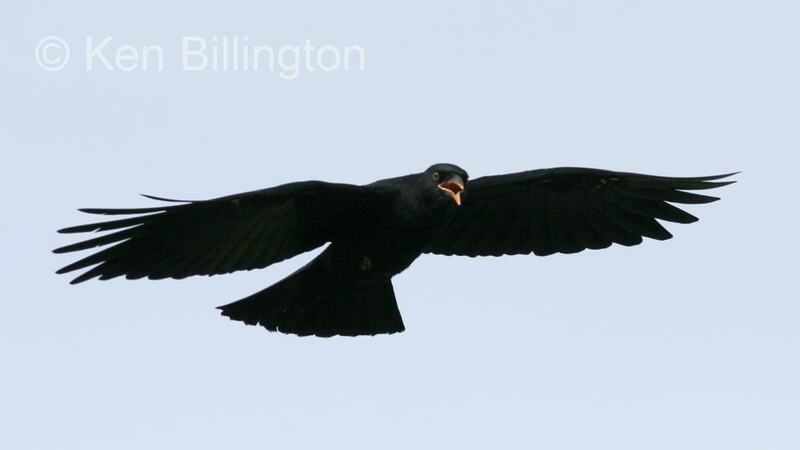 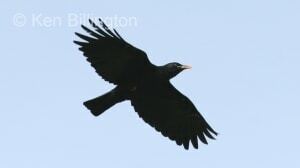 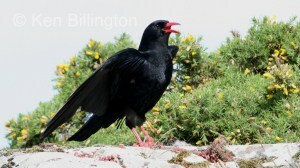 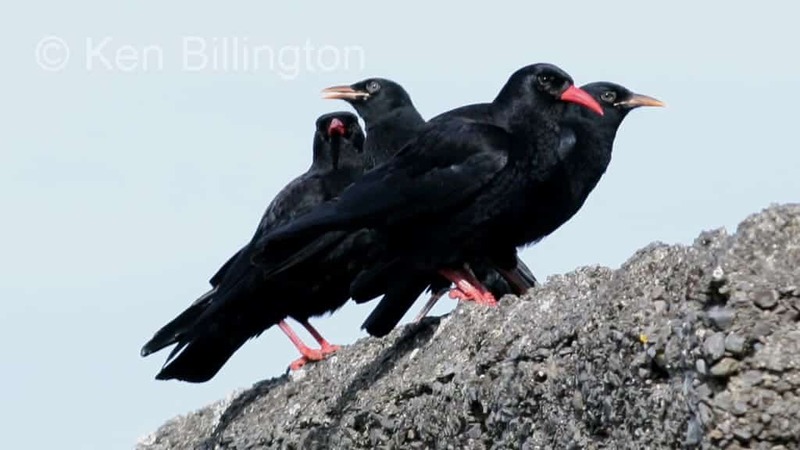 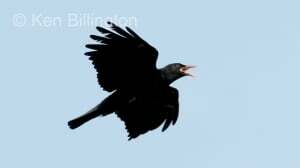 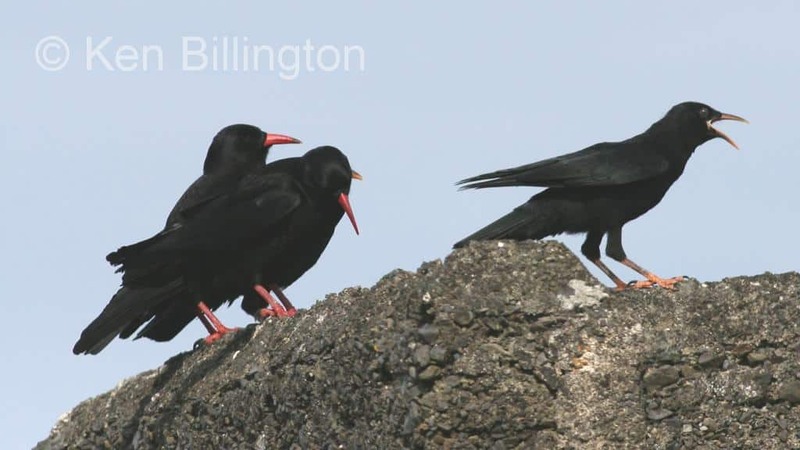 This genus is not to be mistaken for the White-winged Chough of Australia.